Excuse the messy bed, but it's finally come 3 days left in Sunny old Malta and Thursday I fly out to the UK and I officially move into my lovely Home on Friday. Scary but true I'm looking forward to living in my own place without the parents even though they'll be thousand of miles away from me. Packing is usually a nightmare for many people but I honestly piled everything out on my bed this morning trying to decided what to take and what to leave behind. My motivation this morning was remember, UK have my favorite shops and I know certain things can be bought once I settle over there and with that said I am leaving my coats behind ( I purchase a new one each year) and I only own 3 jumpers (yes that's true). I don't have much winter clothing but I own a couple of shirts and some blazers that can be paired with any outfit. 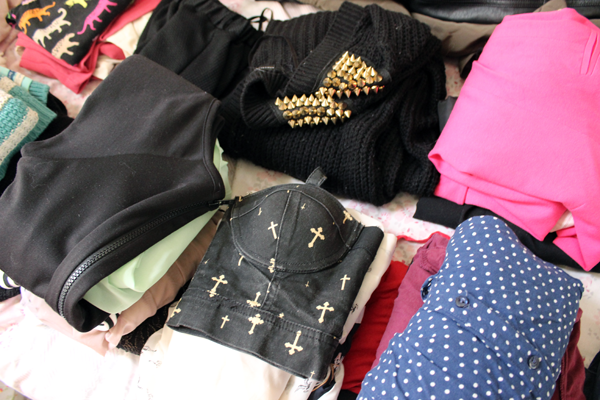 The key to perfect packing is don't overdo it. Take what you are sure to wear and not those that will lie in your closet untouched. I feel that I will be happy with my little selection and 3 pairs of shoes to start off with. I need to make space for my makeup that I will be taking up as well so the more space I have the better right, especially for us beauty fanatics. Take: These are the items you will be taking with you. Charity: Instead of binning, why not take your unwanted clothes down to a charity shop. Storage: Those clothes that you want but will leave behind till either a family member comes up for a visit or vice versa. 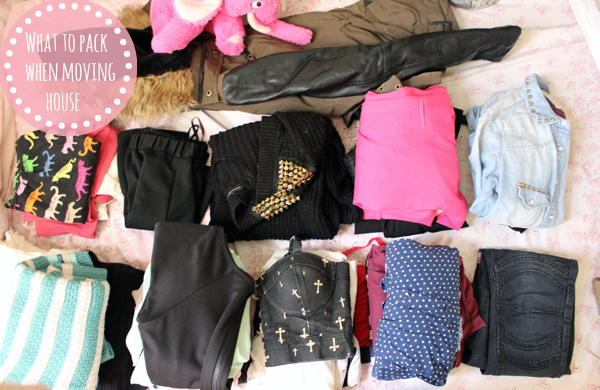 What are your tips on packing? I am actually happy with my outcome as I didn't overdo it with packing too many items I don't use. Have you ever over-packed? Exciting! Where are you moving to? I moved from my home last year in Northern England to London and it took my boyfriend a fair few trips to get me moved in! Clothes and shoes were my necessity! A few people even made up some hampers of food for me too which was nice and very helpful haha! Yeah I would need to catch a plane to come home which is about 250-350£ each time so I will probably come down with an empty luggage and fill with any necessities. What an exciting journey you're on, I really hope you enjoy your new life in the UK and I can't wait to read about it! Packing when I moved here was so hard, I didn't really plan properly and I don't have a single item still! I left a load behind with the aim to pick it up on various visits back but it all got ruined in storage. Definitely important to pick classic items which you can mix and match together, and like you say, only pack things you'll definitely wear. Moving to a new home is exciting and there are various things to do from packing to moving. And if you have a lot of stuff then it is better to get rid of them if there is no use of that. And for this, great tips you have provided like one can donate to charity or store their stuff in the storage units. And also in packing process decluttering helps a lot as you know which items you want and which not. Stefy...your tips are very inspiring and will helpful for everyone and especially for those who are planning to move their home. I agree with you, packing is indeed a nightmare for me as well. So many things need to be properly packed and while packing we always miss on the important things. It is important to first pack the important stuff. Your suggestions are quite helpful. I tell you it is most difficult to decide what to pack and what not to pack during your house move. I think it is very difficult to decide at the time of move about your packing list. You have to make proper planning at least 10 days ahead of your move what to pack and how to pack. Packing is the most irritating task for me as I am quite confused that what could be required for me at what time and these things get me confused by the time I pack the stuff. I believe on the fact that for a comfortable move you need to store the things in proper manner so that you may have a hassle free move. I liked the ideas above and I am sure that these are gonna help a lot for most of us.